The National Association for the Education of Young Children is hosting its annual Week of the Young Child™ (WOYC) from April 8 to 12, 2019. WOYC spotlights the importance of childhood, early learning, and family and community engagement in supporting children’s development. New this year, NAEYC is asking participants to Step It Up by expanding upon activities in unique ways. Follow the WOYC and Step It Up links to learn more about these initiatives. 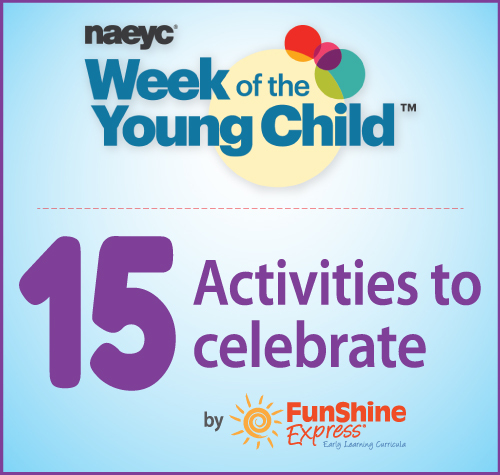 Below are 15 activities to help you celebrate in your child care setting. Sing, dance, and learn a song together. Choose one of the children’s favorite songs (or choose one from FunShine Digital Music and Lyrics) and sing it together. Then, choose a favorite dance song and dance freely or with props, like scarves and instruments. Finally, choose a new song (new to you and the children) and learn it together. To make this activity more meaningful, introduce it at the beginning of the day and invite parents to participate during drop-off. Demo musical instruments. Does anyone on staff play a musical instrument or do the children or any of their caregivers or family members? Invite interested participants to play for the children. Encourage them to take a few minutes to explain how the instrument works and when they are started playing. Play “Follow the Conductor.” Offer children musical instruments. 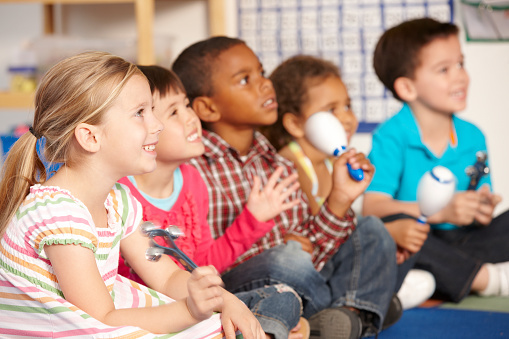 Invite one child to be the “conductor.” He will play a beat with his instrument and then the other children will try to copy it with theirs. Continue playing until everyone has had a turn being the conductor. Plant seeds and watch them grow! Carrots, beans, peppers, tomatoes, and strawberries are relatively easy to grow and fairly low maintenance. You can start the seeds in cups or find a sunny spot outside and plant them there. Count the seeds with the children and look at pictures of a plant life cycle. Talk about what children can expect as the plants grow. Encourage them to make predictions. 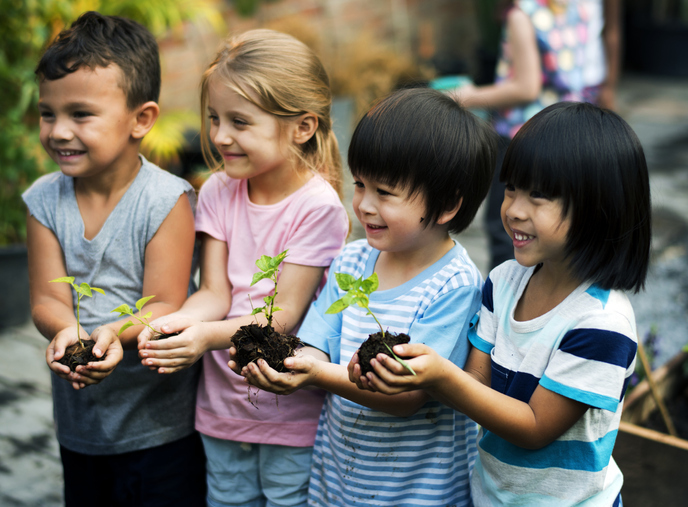 Provide opportunities for children to water and observe the plants. Sample them as they grow. Offer children a tasting menu of favorite foods or new foods. Talk with children about their favorite foods or foods they haven’t tried but would like to. Discuss children’s ideas with families and caregivers. Choose a few and offer small bites on plates. Invite children to try them. Arrange a pizza and toppings bar. Pizza is definitely a favorite food among children. Depending on your level of comfort, make dough from scratch or buy prepared pizza dough. Engage children in the process by allowing them to measure ingredients, knead the dough, or using cookie cutters to make fun shapes for their pizza. Invite children to add cheese, sauce, and vegetables of their choosing to personal pies or decide toppings for a large, single pizza as a group. Bake and enjoy! Use boxes and loose parts to construct towers. Children can practice by making individual towers and then work together to make a tall tower. Encourage turn-taking and group problem solving. Explore old electronics. Ask families and caregivers to donate old electronics (with batteries removed)—remote controls, keyboards, laptops, radios, etc.—and invite children to work together to take them apart. Provide ample time for exploration and talk about what they notice. Learn how to use simple tools. Children are often interested in adult work and domestic life. What are some safe tools that you can show them how to use? Consider demonstrating how to use a standing mixer, a screwdriver, crocheting needle, or another tool that you think would be appropriate for the children in your setting. Visit a museum or invite an artist to your setting. Support children’s understanding of art by exposing them to the people who create it. Arrange to take your group to the local museum, or locate an artist to visit and speak with them about their creative process. Make a community masterpiece. 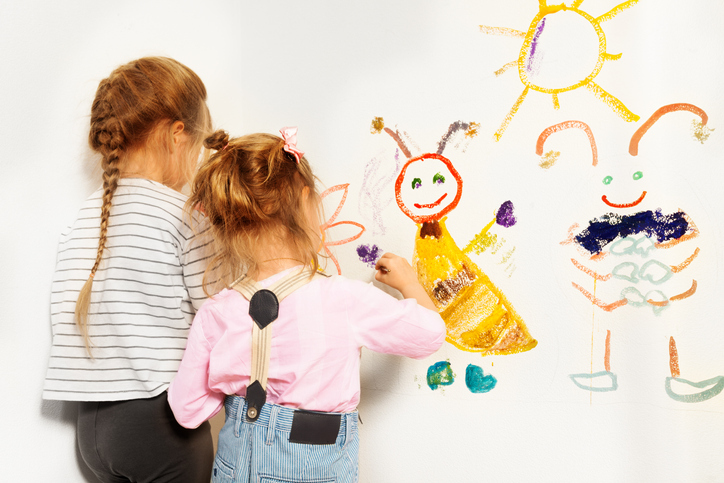 Set up bulletin board or butcher paper in a common area, along with markers, crayons, or colored pencils, and invite children, families, caregivers, specialists, and other guests in your setting to draw on it. Decorate T-shirts. Invite families to bring in a plain T-shirt for each child. Set out fabric markers or fabric paints for children to decorate their T-shirts. Once the shirts are dry, choose a special date for everyone to wear them. Set up a “Home Life” exhibit. Invite each child to choose an object from home that is special to them or their family. This item could be anything from a photograph, to a holiday ornament, to a book. Find a special place in your setting to display the items. Provide each family or caregiver with a card to write a short description about their item and post it near the item. Spend time with children observing and discussing each item. Encourage families and caregivers to observe them as well. Host an Open House. 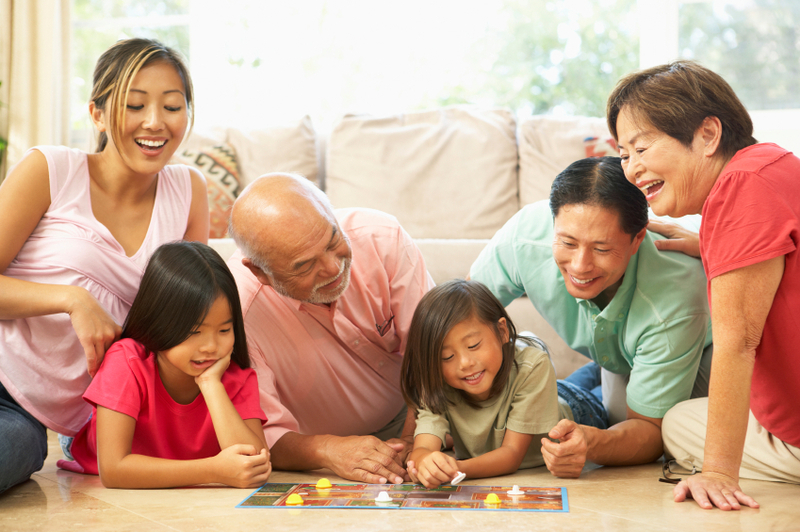 Arrange a time during the day for families and caregivers to visit, or schedule a get together for everyone in the evening. Display children’s artwork, read a story, offer simple refreshments, set up a simple center activity, and say a few words about what is happening each day in your setting. Encourage families to interact with each other. Schedule a “Morning Mixer.” Encourage families and caregivers to linger at drop-off by offering refreshments and setting up a simple activity—beading bracelets, working with playdough, or coloring—for them to enjoy with their children. Photograph the experience and display photos and any artwork created on a bulletin board. How are you planning to celebrate #WOYC2019? Let us know in the comments! < Storytime Spotlight: Hey-Ho, To Mars We’ll Go!